Hey, this place looks familiar! 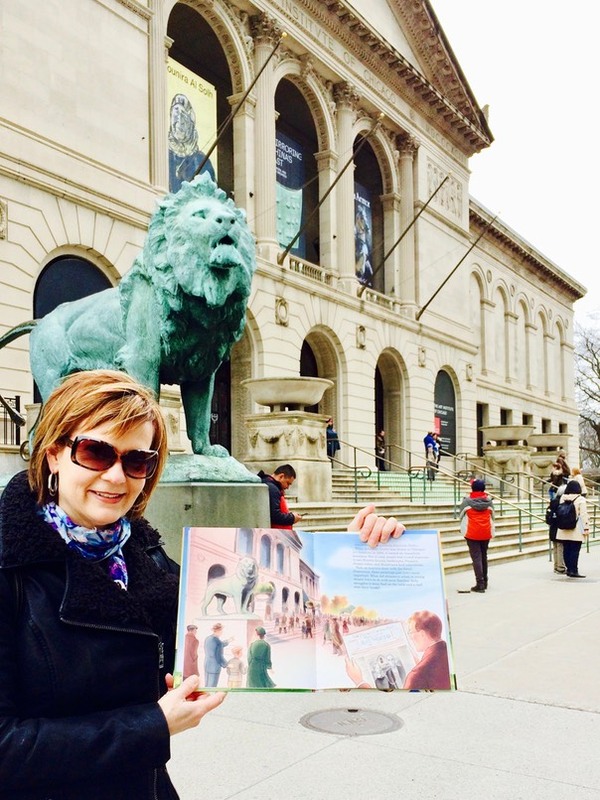 Look—here I am in front of the Art Institute of Chicago, home of artist Grant Wood’s iconic painting American Gothic, holding illustrator Ross MacDonald’s spread of the very same view in our book American Gothic: The Life of Grant Wood. The columns, the arches—those lions! Wow! 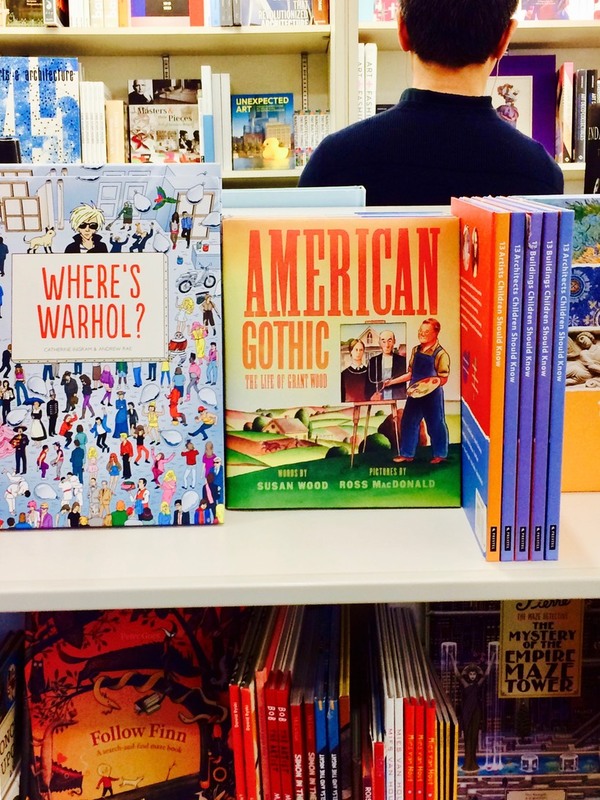 And there’s our book, face out in the museum’s shop, keeping some very good company. Hooray! Alas, the painting itself was out of town when I visited, part of a Grant Wood exhibit at New York City’s Whitney Museum. I swear I’ll catch up with it one day!